The Calendar Raffle is Coming Back! Meet hip’s All Star Team! Have You Renewed Your Membership for 2019? Save the Date for Our Annual Picnic! Have you ever had a key break off in a lock but didn’t want to call a locksmith because of the cost of the service call? Are you still keeping a spare key under the mat hoping that no one will know it’s there? Do you simply need to change the locks on your door to protect your security? The cost of a locksmith service call (up to $125). The provision of lock boxes that are designed with a secure code that you can set and share with a trusted friend, your home health aide or the Meals on Wheels volunteer. The provision of up to three door locks to ensure your safety if you need to change the locks for any reason. The guidelines for financial eligibility are based on individual and family income and will consider the cost of extraordinary medical expenses. Our Care Managers will be on the lookout for those in need as a part of their home visit assessments but you can also be evaluated by calling the hip Bergen office and asking for Maria who will send out an application packet. Saturday, April 6th is Game Day for hip’s Annual Dinner Dance and Night of Entertainment! This year’s theme is Baseball, as we Take You Out to the Ballgame at the Fort Lee Recreation Center (1500 Stillwell Avenue) with First Pitch at 6:30 p.m. The evening will feature our Hall of Fame DJ Gary Morton as well as dining, dancing and the chance to win an array of prizes. During the 7th Inning Stretch we will introduce the members of hip’s very own All-Star team comprised of individuals who have been Most Valuable Players to hip’s growth and success over the years (see page 3). Invitations are in the mail, but if you haven’t received yours tickets can be purchased by calling Trish Carney in the Bergen office at 201-996-9100, ext. 11. Tickets are $50 per person and must be reserved no later than Friday, March 29th. Don’t Strike Out! Step Up to the Plate now and get ready for a fun-filled evening! We are pleased to announce that hip has received a grant from the Fund for the New Jersey Blind to provide Ballroom dance lessons to hip consumers who have vision loss. The dance instructor, an individual who also has vision loss, wants to share his passion for ballroom dancing by giving our consumers the opportunity to prove that they can get out on a dance floor and freely strut their stuff. This is all about stepping out of our comfort zones and trying new things. Participants are guaranteed to gain confidence and become even more empowered to take on new challenges. There will be a total of six 3-hour lessons spread over March, April and May offered in 2 locations. On the first Wednesday of each month the lessons will be given at The Temple Beth Or in the Township of Washington and on the fourth Monday of March and April and the third Monday of May (due to the Memorial Day holiday) at The Secaucus Public Library. In June we will have a celebratory Tea Dance where everyone can try out their new skills. This initiative has been met with enthusiasm from our consumers and we’re really looking forward to seeing what the instructor has in store. He will use lots of verbal and tactile ways to communicate so all can easily follow the instructions. We will have a DJ present for all 7 events and will be providing refreshments so call Trisha at 201-996-9100 ext. 19 if you’re interested in signing up. On Thursday, November 8th hip’s Board, staff and consumers gathered at the Fort Lee Recreation Center for our 2018 Annual Meeting. 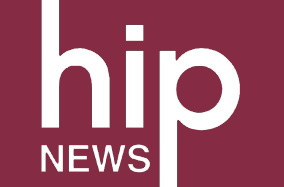 Following a light supper President/CEO Brian Fitzgibbons reviewed hip’s many accomplishments during the past year, and elections and re-elections to the hip Board of Trustees took place. Mary Turner, a Registered Nurse from Dumont, was elected as a new member of the Board while Karen Canellos, Lottie Esteban, Rick Hodgman, Anna Navatta and Joe Tomasko were re-elected to new terms. A last minute emergency prevented the scheduled keynote speaker, Bergen County Surrogate Michael Dressler, from attending the meeting. In his place former hip Board member Paul Aronsohn, the recently appointed Ombudsman for Individuals with Intellectual or Developmental Disabilities and their Families in Governor Phil Murphy’s administration, shared the duties of his position with the audience. He was followed by a presentation by hip Board Chair Anna Navatta, an attorney at Northeast New Jersey Legal Services, who discussed the importance of making a will. Watch your mail in April for a chance to buy a ticket in our Annual 66 $unny Day$ of $ummer Calendar Raffle! We’re starting one month later this year, with tickets drawn each weekday during July, August and September. Five winning tickets will be drawn each week, with a specific cash prize designated for each day. With the purchase of just one $20 ticket you’ll have 66 chances to win – and if you do win, your ticket will be re-entered into the raffle for the chance to win again! You could even be the lucky winner of the grand prize of $200 on September 30. Remember, you have to be in it to win it! Good Luck!!! The hip project, Multimedia Transcription Services (MTS) is celebrating 25 years committed to promoting literacy and equal access to written information for those who are blind and use braille for reading. We are using this silver anniversary to expand our reach beyond the schools that we typically serve and have contacted libraries, museums, theaters and hospitals to make them aware that braille removes obstacles to success and improves the enjoyment of all print material for braille readers. We will continue to offer personalized services such as newsletters, agendas, invitations and announcements. We are redesigning our marketing materials, revising our name to “Braille by MTS” to get a better position on web searches and creating a separate website. We continue to offer competitive pricing and are proud of our reputation in the business of hiring only the best seasoned transcribers in the country. We are happy to respond to all braille inquiries and requests at all times. EILEEN GOFF, the Founding President/CEO of hip, is a Champion of Independent Living! In 1980 she secured federal funding which established Heightened Independence and Progress as the first Center for Independent Living in New Jersey. Dedicated and forward-thinking, for thirty-seven years she directed hip’s growth as she developed a variety of programs to enhance the lives of individuals with disabilities. Eileen has been a tireless advocate in supporting the full inclusion of people with disabilities in their communities as well as a role model for countless individuals with vision loss and a Disability Ambassador for the able-bodied community. In recognition of her life’s work, in 2018 Eileen received a $5,000 Making a Difference Award from the Russ Berrie Foundation which she directed to hip to support our consumers in attaining their highest level of independent living. CHRIS BLACK has been an Angel to hip families each Christmas for over 15 years. If she wore a red suit we would call her Santa Claus! Through her caring efforts as the Coordinator of the Giving Tree at St. Peter the Apostle Church in River Edge, a countless number of individuals and families who would have otherwise been forgotten during the holidays have received an abundance of gifts including warm clothes, linens and household items, toys and supermarket gift cards each year. Modest about her efforts on behalf of others, Chris and her family have also provided generous financial support when an emergency situation arose for a family affiliated with hip. LILLIAN CIUFO was a dedicated member of the hip Board of Trustees for more than a quarter of a century, from 1991 to 2017. As our Fundraiser Extraordinaire, Lillian aligned hip with numerous new and unique sources of income which enabled our Center for Independent Living to become a vibrant organization for people with all disabilities. Following the untimely death of her only daughter in 2000, she directed that memorial contributions be sent to hip which resulted in the establishment of Laura’s Legacy, a fund administered by hip which provides financial assistance to individuals and families when one-time support can make a difference in their lives and no other funding is available. Lillian organized many fundraisers to benefit hip as well as others specifically for the benefit of Laura’s Legacy, and to date this fund has provided over $45,000 worth of assistance to hip consumers. It is also thanks to Lillian that we found our must-have Hall of Fame DJ Gary Morton to entertain us at our Dinner Dance each year! JEAN CSAPOSS joined the hip Board of Trustees in 1988 and ended her tenure thirty years later in 2018. During this time she shared her leadership skills as she served one-term as Second Vice-President as well as multi terms as Board President, and was an active member or chairperson of many Committees including the Executive, By-Laws, Nominating and Fund Development Committees. She was also a key player on the Relocation Committee when hip moved from Englewood, where it started as a program of another social service agency, and leased its own office space in Hackensack. Jean also served as Editor of hip’s newsletter for many years and has been the literary genius for many of hip’s brochures and other publications. A Life Member, Jean has been a generous supporter of hip over the years. RHEA HESS has been a dedicated hip volunteer for over 30 years. When seeking meaningful activities after retiring from a career in retailing and semi-retiring from a catering company, she met hip’s Executive Director Eileen Goff, a former neighbor with whom she had lost touch with who mentioned that she needed a reader, and as the saying goes, “the rest is history.” Volunteering at hip practically became a full-time job for Rhea, as she not only served as a reader but also tracked the agency’s inventory of office supplies, duplicated audio-cassettes, managed the consumer database for mailings, and chaired our Annual Pot O’ Gold Raffle for many years. Rhea retired from these duties earlier this year as she prepares to relocate out of state. We thank you Rhea for many jobs well done and wish you all good things in this next chapter of your life! JOHN KOCH, a Life Member of hip, has been providing financial support to our Center for Independent Living in a variety of ways for many years. A dedicated Rotary Club member for over 50 years, John lives their motto of “Service Before Self” in his everyday life as he tirelessly works to assist individuals in need. He has a special passion for the Rotary’s Gift of Life Program, a worldwide human assistance initiative intended to help the children of the world who are in need of corrective heart surgery. John is truly a Goodwill Ambassador for hip as he cultivates a mutually supportive relationship between hip and his fellow Rotarians. MARTHA MULLIGAN has also been an Angel to hip’s consumers each Christmas for many years. A parishioner of St. Peter the Apostle Church in River Edge, Martha is the #1 Elf to Santa (aka Chris Black) as she helps to make Christmas special for a countless numbers of consumers who do not receive gifts from anyone else. Martha downplays her efforts, but each year she is the one who carefully checks that the items requested by hip’s consumers have been purchased, and if necessary does last-minute shopping to secure their “perfect gift.” Personally and professionally Martha and her husband have directed significant financial support to hip for the benefit of our consumers and the agency as a whole. STEPHANIE THOMAS became hip’s very first member in 1981 and has been a dedicated volunteer ever since. No job is too big or too hard for Stephanie – in fact, nothing makes her happier than a big project or major mailing. Her fingerprints can probably be found on every piece of mail that hip has ever sent out, dating back to hip’s early days in Englewood when our newsletter, the hipNews, would be delivered to her home and she would work on the mailing labels from her living room. Always eager to help, Stephanie also assists with office projects as well as the decorations and baskets for our annual dinner dance. Just like the Post Office’s motto, neither rain nor sleet nor snow can keep Stephanie away from hip and it is a pleasure to name her to our All-Star Team! Thank You and Congratulations to Our All-Star Team! Anna closed by stressing that even though it’s a topic that many of us would rather put off “until tomorrow,” the truth is that every adult should have a will. Subscribers to the National Federation of the Blind’s (NFB) NEWSLINE can now access it hands-free on any Amazon Alexa product. This includes the Echo and the Echo Dot. Just say, “Alexa, open National Federation” and after providing this information every feature of the program will be available by voice commands. You can ask Alexa to read any of the five New Jersey newspapers that are available as well as the New Jersey Grocery Ads. At your command Alexa will also read from a list of thirteen national newspapers including The Wall Street Journal, thirty-two news services including CNN and ESPN, and over 500 newspapers from every state as well as magazines including international publications. News and information about the Talking Book and Braille Center, the New Jersey Commission for the Blind and Visually Impaired, and the New Jersey Chapter of the NFB can also be obtained. NEWSLINE is sponsored in New Jersey by the NJ Commission for the Blind and Visually Impaired and is available at no cost to individuals who cannot read print material as well as people who have difficulty turning pages. Further information can be obtained by calling NFB at 866-504-7300. Several months ago Bergen County, in conjunction with Bergen County Community Transportation, launched a service that will be very valuable to individuals with disabilities, seniors and those folks without cars who want to get around Hackensack. The Transit Connector will travel between the two railroad stations at Essex and Anderson Streets and cover many destination points in the city including the Bus Terminal, the County Office Complex and Hackensack University Medical Center. This is an accessible vehicle and can be boarded at NJ Transit Bus stops that are marked “Transit Connector”. hip appreciates this free service and hopes that it becomes more successful as Hackensack continues with the many construction projects throughout the area. A hip group will be planning a field trip to evaluate the program. Every October, with the start of our new fiscal year, hip invites new and renewing members to join our great organization for another year. Why belong? hip makes things happen for people with disabilities and your support helps us in our efforts to enhance the independent living of people with disabilities. You get something as well! The benefits of membership ($20 for a Basic Membership, $25 for a Family, and $35 to give “a little extra” as a Contributing Member) include reduced costs for some hip special events, priority acceptance when space may be limited, and the opportunity to participate in the Bergen PAC’s Arts Access Program in which you can receive free tickets to select performances such as comedy shows, musical concerts and other exciting entertainers. Membership forms can be downloaded from our website www.hipcil.org or requested by calling the Bergen office at 201-996-9100 or the Hudson office at 201-533-4407. Get hip! We thank you for your support! We also extend our heartfelt thanks to the wonderful parishioners of St. Peter the Apostle Church in River Edge and the generous participants in the Bergen Volunteer Center’s “All Wrapped Up” Holiday Gift Giving program. This year the holiday season was brightened for a record number of 70 individuals who received an assortment of gifts including warm clothes, household items, toys, games, sporting goods and gift cards. Please call the hip Office to confirm that the meetings will take place.